Nothing feels as luxurious like having your nails done. But, getting a manicure and a pedicure isn’t just about painting your nails. Your cuticles should be treated, too, to make sure your nails remain healthy as they grow out. Caring for your cuticles doesn’t need to be done at the salon. It could be simply done at home, and we will share with you what we think are the best cuticle lotions available. We think that this best cuticle lotion is a must-have for nail addicts out there. The Burt’s Bees Lemon Butter Cuticle Cream has Sweet Almond Oil and Cocoa Seed Butter to moisturize cuticles. This product also has Sunflower Oil and Vitamin E to nourish brittle nails. The best part is it’s made of 100% natural ingredients. This is why you can use it anytime you want since you don’t have to worry about harsh chemicals entering your body. We also love that it has a refreshing lemon scent for that clean and natural feeling. Plus, lemon oil is a natural astringent that cuts through dirt and oils to leave you with softer cuticles. We suggest having this product in your nighttime ritual to give cuticles the care they deserve. When you wake up in the morning, you’ll be greeted by fresh nails that look brand new. It comes in a small, round tin can which we think is okay but isn’t really a fan of. However, this product is definitely your best bet if you’re looking for the best value for money. 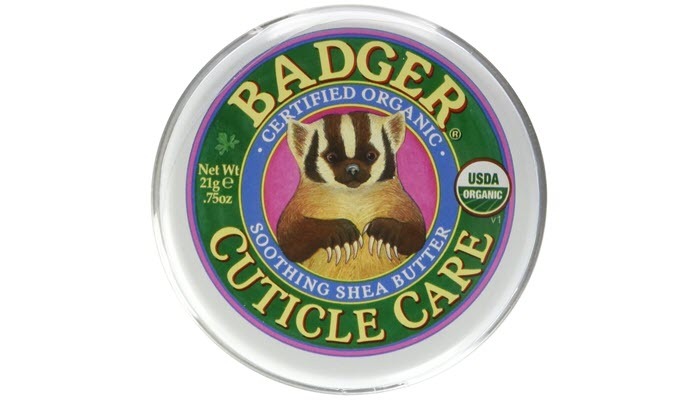 Go with the Badger Organic Cuticle Care if you’re looking for an organic product. It is free of any harmful ingredients so you definitely won’t experience any negative reactions. It has Shea Butter and Sea Buckthorn CO2 extract as its main ingredients. Rich in vitamins, they help soothe, nourish, and protect dry cuticles. Ginger, lemongrass, mandarin, and geranium essential oils are also added for that light, citrusy smell. However, you may notice Shea Butter beads rise on the surface of the balm with time. This is completely normal, and this will not affect how the product performs. This product is just a bit greasy compared to the first one. But, this isn’t really a con since some people like the greasy feeling to know if a product really works. It also comes in a round tin can like the previous product. It even promises results in minutes, so you may want to consider this if you want a product that gives instant results. 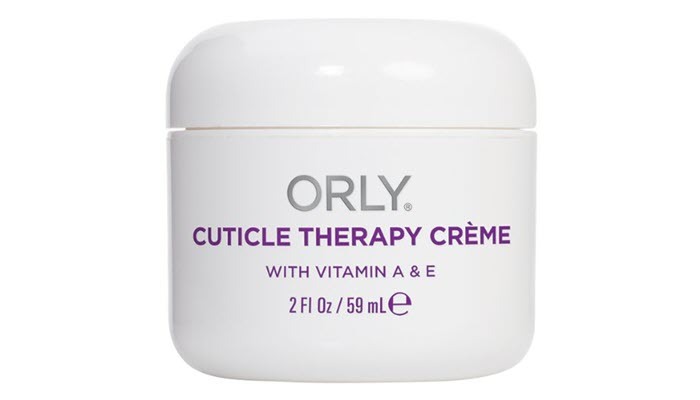 The Orly Cuticle Therapy Crème is enriched with Vitamins A and E to hydrate and soften dry cuticles. Also, it has Avocado Oil to moisturize and condition even the elbows, hands, and feet. This is why this is recommended for those who can’t stand wearing gloves at night. It’s very hydrating and is quickly absorbed by the skin so you won’t get that greasy feeling. It’s a bit thick, though, which we think is good for that extra dose of moisture. It comes in a huge, white tub so it’s not that convenient if you’re traveling. We think it’s a bit unhygienic, too, since you dip your fingers in it with every use. Another thing to consider is the scent. It has a strong, soapy smell—so if you have a sensitive nose, you may want to skip out on this product. 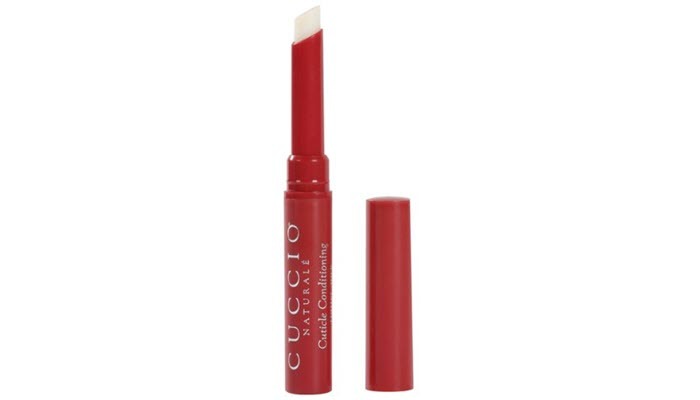 Pick the Cuccio Cuticle Butter Stick for quick and easy touch-ups. It has Olive Oil, Vitamins A and E, and Shea Butter to moisturize, condition, and soften the cuticles. This particular item has a Pomegranate and Fig scent if you like citrusy scents. If you like your products a bit sweet, then try their Milk and Honey variant. This lotion provides 24-hour moisturization and supports the healthy growth of natural nails. What we think is best about this item is it comes in a twist-up tube. So, it’s great for on-the-go applications and it isn’t as messy as the others on this list. However, we feel that it’s just too small. Some say one tube lasts them for only a month, which isn’t that practical compared to others that can last up to a year. Harsh cleansers and cold weather contribute to having dry hands. In some cases, the skin can get cracked and the cuticles can dry out if it gets really bad. This puts you at high risk of getting an infection. Hand creams help stop them from drying out in the first place. If they’re already dry, it can help restore moisture into your hands. So if they nourish the skin on the hands, they must be good for the cuticles too, right? Well, not really. 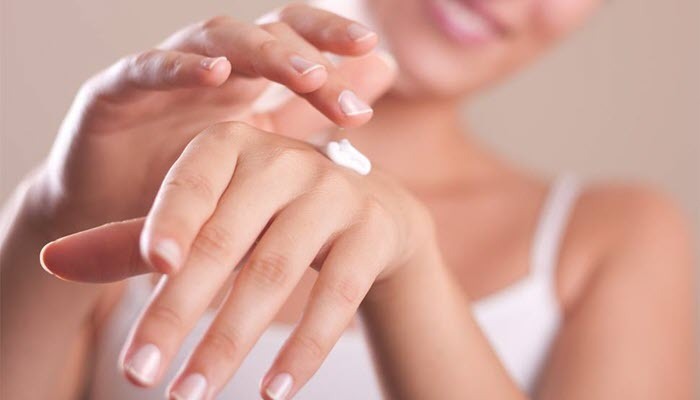 It seems too much, but having a separate cream for your cuticles can benefit you a lot. The cuticles nourish and protect the nails as they grow. If they dry out, they lose important fats that keep them naturally soft. Also, they become more brittle and prone to damage since the nail plate becomes less flexible. Cuticle creams are great products that help heal and nourish the cuticles. Chances are, hand creams aren’t as oily or have the same ingredients. First, you must prep the cuticles. You can do this by taking a shower or soaking your fingers in lukewarm water for about 15 minutes to soften the cuticles. Check if your cuticles are thick. If yes, push them back gently with a wooden cuticle stick—don’t use metal tools to do so. Then, it’s time to moisturize—but, don’t grab your regular hand and body lotion just yet. The skin around the cuticle is more delicate. It needs products that deliver intense moisture but are gentle at the same time. Cuticle creams are great for dry cuticles that aren’t detached from the nail yet. Creams that contain shea butter, petroleum, or safflower seed oil are great in bringing back lost moisture. Simply apply it to your cuticles and the whole nail and gently rub it in. 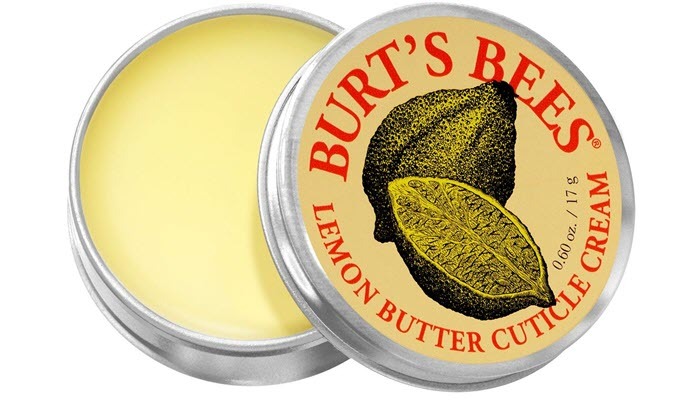 We have chosen the Burt’s Bees Lemon Butter Cuticle Cream as the best cuticle lotion. It’s safe for all skin types, tested by pediatricians, and comes at a price almost anyone can afford.